THE PICKIEST EATER IN THE WORLD: MAGNUM CAFE'S NEW DESSERT: THE ROGUE MAGNUM! 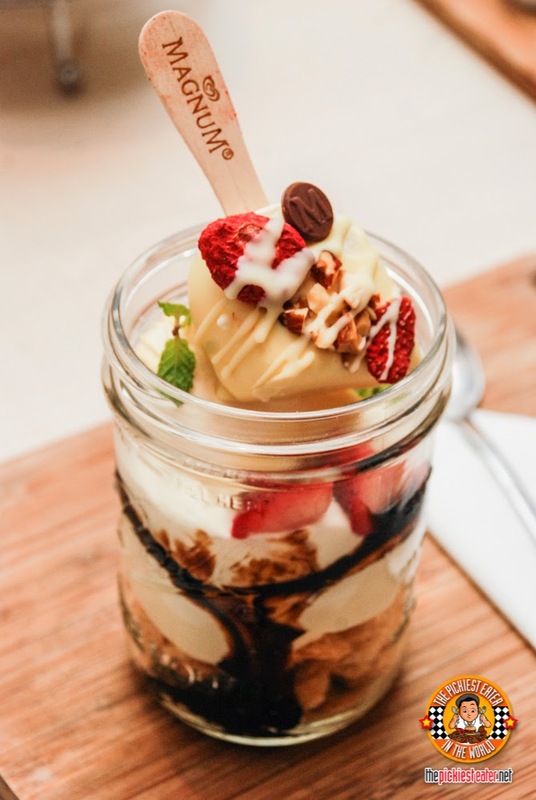 Chef Miko patterned this Rogue Magnum dessert on a classic British dessert called Eton Mess. 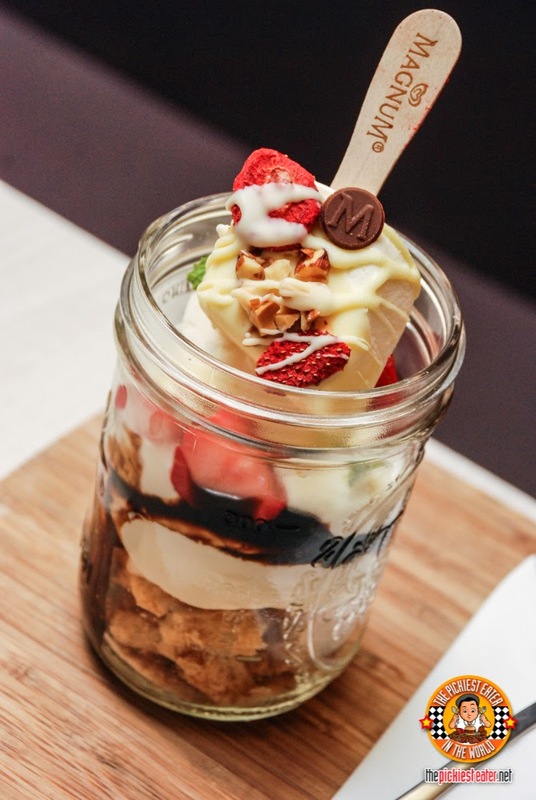 It's sort of like trifle having many layers and components but inside a jar. This jar is a perfect example of comfort and beauty rolled into one. 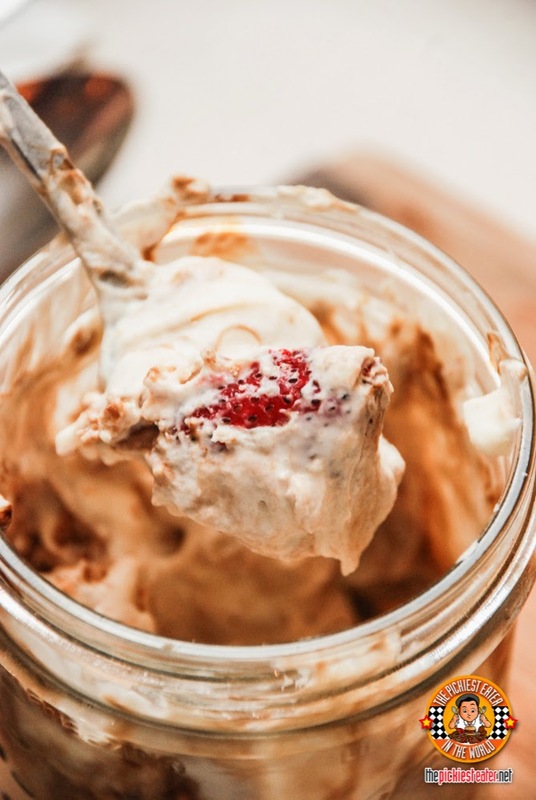 It's made of light cashew meringue with lots of mascarpone mousseline, huge chunks of fresh strawberries, half a Magnum vanilla bar, and the magical ingredient?Ffig flavored crema de duca balsamic cream! The hint of sourness from the balsamic and the tartness of the strawberries balances out the sweetness of everything else. It is then topped with the rest of the vanilla Magnum bar on a stick, dipped in Belgian white chocolate, then topped with freeze dried strawberries (my fave topping!) and salty almonds. Chef Miko says you have to have a bit of everything when you take your first bite. 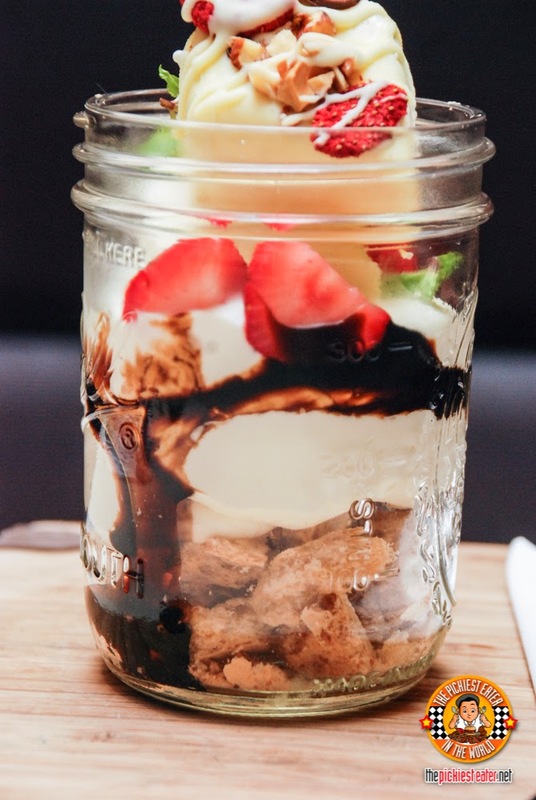 So to do that, you must mix it all inside the jar. It actually still looked so tempting even after mixing! You get a lot of texture and flavors in your mouth. Something you would eat when you've been dumped and it will make you feel better. Hahahaha! The Rogue Magnum is P440 a jar. So just like Rogue Magazine shows impeccable taste, The Rogue Magnum's world-class concoction delivers that as well! 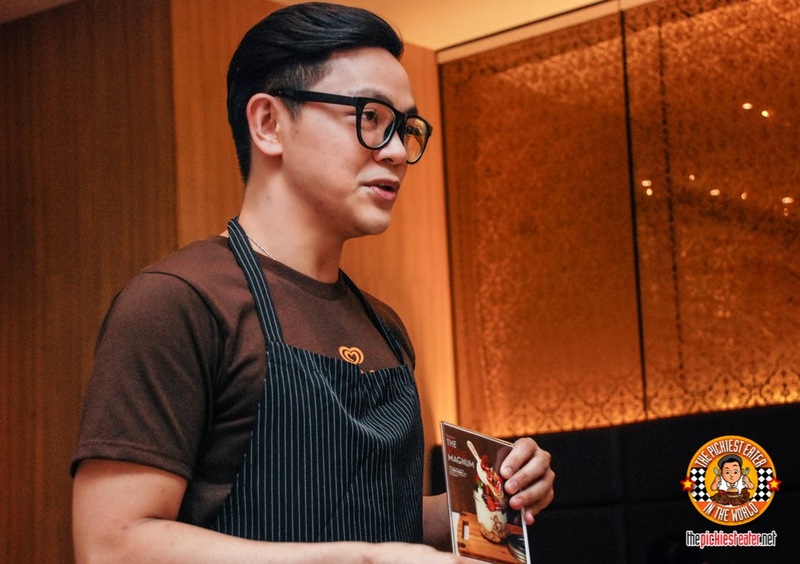 Congratulations once again Chef Miko! You did it again! :-) Can't wait for your upcoming new flavors!